A lot of offices and businesses are changing from a rigid and strict design of the past into a more fluid and modern concept. Simply put, the day and age of the cubicles are over, and the age of modular and easily portable office spaces is just beginning. However, as modern and innovative as an office may be, there are some things which need to stay the same. Well, not necessarily the same, but familiar and recognizable, with a modern twist. Conference and meeting rooms are one such example; simply put, the space used as the conference or a meeting room needs to reflect the intended use and have all the necessary elements. Shore Office Warehouse shares their insight into the modern conference room. The modern times require that any conference and meeting room have access to the high-speed internet, as well as have a projector or a large screen of some sort. unreasonable to expect that the meetings should be pen and paper. Even if it is not always used, the multimedia capability is essential for a modern business. Oh, and it can be a great party piece for an office party. lumbar support. Sitting for extended periods of time is bad, so you need to mitigate the negative effects of it all. y-chairs-new/. These are just as comfortable in the short run, and they are a lot less expensive than ergonomic chairs you normally use. And, just like the multimedia capabilities, these chairs can double as lobby furniture for clients and business partners waiting for a meeting. Is your company a relaxed, egalitarian type of business? Or are you more of a strict hierarchy office? It can determine the right kind of a table you should have in your conference room. everybody else clearly is the better option. 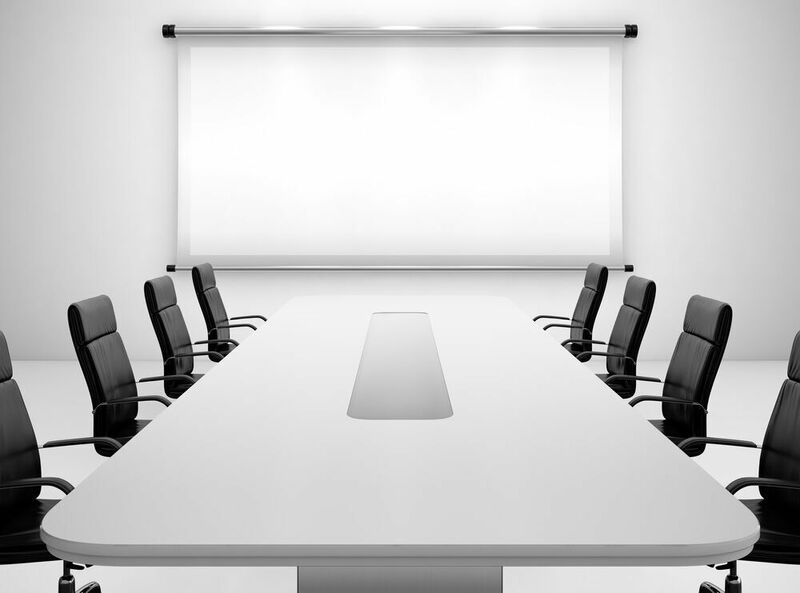 On the other hand, if you are looking to display strict hierarchy, a rectangular table with a clear leader and sitting order is probably more your choice. Regardless of the type of table you end up opting for, make sure that it is sturdy and that it has a quality feel to it. It may be important to your clients that your company projects strength and quality. If you can choose how to set up the lighting in your conference room, you should always opt for natural light. Studies have shown that most people are more relaxed and more attentive in the natural light, as opposed to the harsh artificial light. However, leave an option of blocking out the light if you need to use the projector or the screen. When it comes to artificial light, LED is the best option, both because the light emitted b these bulbs is the least tiring for the human eye and because it doesn’t give off much heat, which can become an issue during longer meetings. Designing the perfect conference room is very much a matter of personal taste and the needs of an individual company, so before you start, make sure that you know what you want to achieve with your design.